Days Gone is a single player only experience, but World War Z developer Saber Interactive has gone on record claiming that it pitched a mode to Sony which was declined. This is probably what it would have looked like: players versus players versus zombies. The clip reveals a class-based competitive environment, whereby you’ll need to fend off an opposing team – and swarms of the undead. In addition to competitive multiplayer, the title will also feature a four-player co-op mode, where you’ll need to fight off swarms of the infected. Do you think modes like this could have enhanced Sony Bend’s upcoming open world exclusive, or are you happy that the platform holder stuck to its guns and focused on the release’s single player? Multiplayer for the sake of it only hurts the experience. Still glad Sony said no. Sorry, not sorry. Personally, I think it may have been cool to get 'both' in a single one off price. 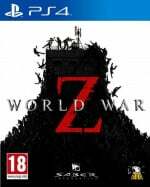 Its quite cool though that those who want a Single player game only though can buy Days Gone and World War Z is for those looking for an online Co-op/MP game - also this is available on Xbox and PC too - unlike Days Gone - so more players have access to it - whether they buy it or not is a different matter. In all honesty, I am looking forward to Days Gone (pre-ordered the Special Edition - the one without the statue) and not really all that interested in World War Z. If they had included everything that WWZ are offering in Days Gone, I would still be buying it but just for the SP. I think it could have worked well as a co-op/MP separate modes within the Days Gone world and the 'lore' could show how other places had been affected in different maps within the online component - separate areas but still within the Days Gone lore. A bit more variety in the enemy types this way too. This article is about the non existent Days Gone multiplayer just as much as it is about World War Z.
I don't think bend want another studio adding multiplayer component for their games, bend will do it themselves when they're ready. Possibly in days gone 2. I strongly prefer single player games but if a multiplayer component would be added separately, without diluting the experience, then the more gameplay the better. About that last of us multiplayer though..